If you are getting sloppy steering and feedback through the steering wheel in your '03-'07 4X4 Dodge Ram, it might be time for a new steering damper. The steering damper is basically a hydraulic shock absorber for the steering and damps out undesirable movement of the steering wheel due to road imperfections. To check to see if the steering damper in your Dodge Ram has lost its effectiveness, remove one end of it from the suspension and push on it. If you first get resistance, then less resistance, and then the resistance returns, it's time for a new part. The steering damper typically operates in a small range of motion and it is the center area of the damper that wears out. 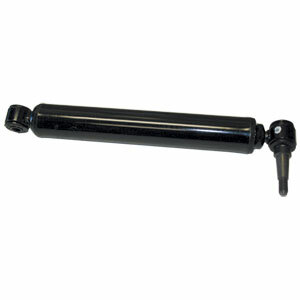 NOTE: If your truck has had the Mopar steering upgrade performed, you will need the '08-'13 steering damper.